Immediately four pavilions in the form of eggs, the height of one of which will be 5.6 meters, will represent Kamchatka at the Eastern Economic Forum. The symbol of the eggs is chosen as the birth of a new life in Kamchatka. Three pavilions will be divided on the themes: “Nature. Kronotsky Reserve “,” Tourism “and” Culture “. 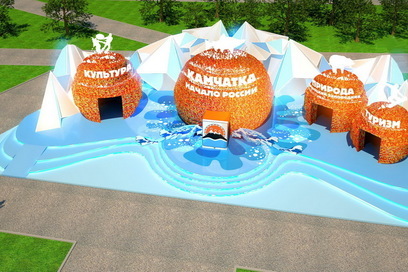 The main pavilion will be called “Kamchatka-2030”. It will be installed LED panoramic screen at 360 degrees, due to which visitors can experience the effect of presence on the peninsula. 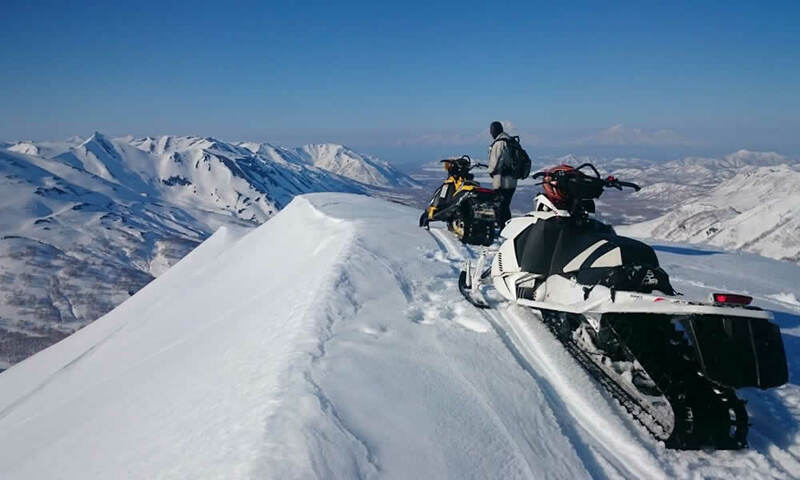 On a separate segment of the screen will be presented the investment potential of the region: the construction of an international airport complex, a tourist and recreational complex “Petropavlovskaya Gavan”, an all-season ski resort, a hotel complex. “This year we also envisaged an entertainment program. Each 2018 visitor to the pavilion will receive a prize from the Kamchatka Territory. In addition, every hour will be played caviar, smelt, souvenirs. We are sure that at VEF-2018 the Kamchatka exposition will be visited by a record number of guests, “said Vice Governor Alexei Voitov. The exposition of the Kamchatka Territory was recognized last year as one of the best on the results of the exhibition “The Far East Street”, which took place in the framework of the Third Eastern Economic Forum in Vladivostok. Kamchatka took the third place. The second was the Amur Region. The Pavilion of the Khabarovsk Territory was recognized as the best exposition. The exposition of Kamchatka on the “Street of the Far East” consisted of three zones: tourist, cultural and agrarian. The main pavilion was made in the form of a snow cube, inside of which an imitation of a blizzard occurred. The second zone of the exposition of Kamchatka was devoted to the national culture. National dwellings were established on it, creative groups performed and master classes took place. The third zone was occupied by the model of the year-round greenhouse, which is planned to be built on the peninsula within the regime of the territory of advanced development “Kamchatka”.